and who have given me a framework to express my heart through jazz. And thank you dear listeners who have given me the support to keep following the path I love. And all thanks to the Source of Inspiration and Love! “Sky Jazz” is Richard Shulman’s new genre of music. Recorded by his North Carolina trio, it combines the traditional jazz elements of harmony, pulse, and improvisation with the deliberate goal of soothing and inspiring the listener. Full of melody and swing, the music delights on its own, while helping people to relax, meditate, and even heal. I’ve been reviewing jazz for two decades and listening for more than four. During this time I’ve probably heard it in every incarnation: mainstream, third stream, and slipstream; hot and cool; free, Latin, world, and fused with everything from Chopin to hip-hop. But I’ve never encountered jazz with such strong spiritual intent. The closest was the urgent questing of saxophone legend John Coltrane — not surprisingly, one of Richard’s major influences — although Sky Jazz inspires a much sunnier and more serene kind of reflection. This CD circles back to the early New York days when Richard played with Ron Carter and Frank Foster, among other luminaries. Possessor of a formidable talent and technique, as well as a Master’s degree in composition, Richard first explored the healing power of sound when an injury prevented him from playing in public for two years. On this release the focus aims skyward with the very first track, as “Pictures in the Clouds,” which describes their joyful tumbling across a bright and limitless sky. Taking time to watch their shape-shifting beauty can rest the soul and clear the mind, opening it up to insight. Listening to Sky Jazz has the same effect, of inviting the imagination out to play. While Richard’s songs describe his own challenges and celebrations, they encourage listeners to contemplate their own. It should be noted that Sky Jazz bears no resemblance to the repetitious, generic stuff that many people associate with the “New Age” category. Instead — and as usual — Richard’s music is well-crafted, deeply felt, and cliché-free. He’s got such a strong melodic gift that his tunes could well become staples of the jazz repertoire. As it happens they are already universal, since everyone has experiences to file under “Circular Mind,” “Getting Over Lost Love,” and “Goodbye to Fantasy.” The CD’s closer, “Relaxin’ at Home,” goes on like the favorite pair of slippers that warms the end of a day. 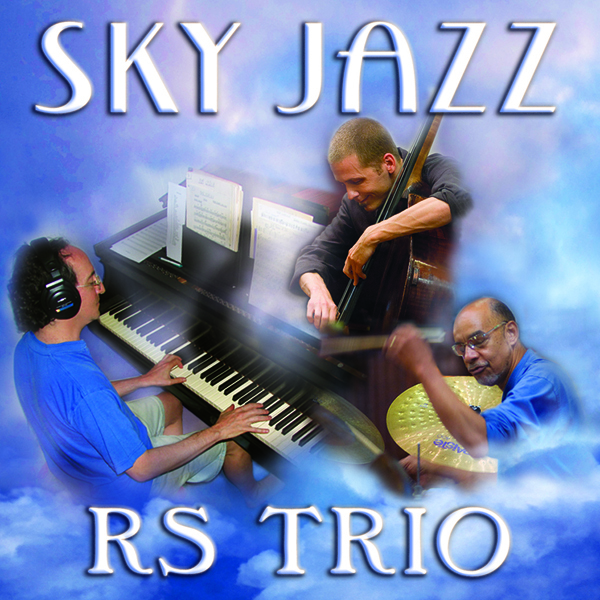 Sky Jazz also soothes the soul because it never dwells in darkness. When we reflect honestly on our lives, there will always be a poignant moment or two (or a thousand). There’s simply no way for humans to avoid loss, mistakes, and those dreams that insist on staying out of reach. Our healing comes when we salute such things as natural, understand and accept their lessons, and move beyond their pain to wisdom. Richard conveys this philosophy with his harmonic colors, using his rich musical palette to relieve tension and create the sound of hope. As a psychologist, I can recommend Sky Jazz as an enjoyable, easy-to-use aid to relaxation and creativity. As a jazz writer, I can tell you that the music is terrific. But however you choose to approach or apply it, one thing is sure: this CD will take you on a wonderful journey. There is no one outside the circle of us. Sometimes our history must be acknowledged. A vehicle to create textures in improvisation – for me this song expresses innocence in action. Written for a club in Hoboken, NJ which the RS Group played at in the mid 1980’s when I lived in NYC. Human love – sometimes sorrowful, sometimes joyful, always a doorway to a deeper love. A wedding present for a friend. Honors a major lesson to be present. The mind likes to go in circles – and sometimes they sound good. A happy birthday song written for my grandfather. May your home be Relaxin’. ©, (p) 2009 RichHeart Music, All rights reserved.